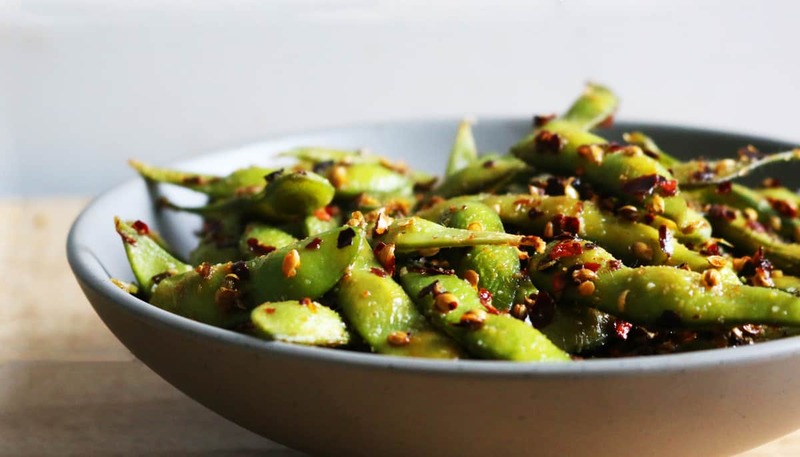 Edamame roasted with coriander seeds, red pepper flakes, garlic and salt. Spicy…salty…healthy…finger food. 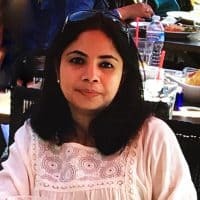 You guys, look what I bring to you today? Don’t be alarmed with the amount of red pepper flakes! You’re not gonna eat the outer shell anyways. Isn’t chili peppers suppose to boost your metabolism? YESSS….. there you go – another reason to enjoy these pods. The spice mixture is ripped straight out of my from my Palak paneer knots recipe. This recipe could not be any easier. 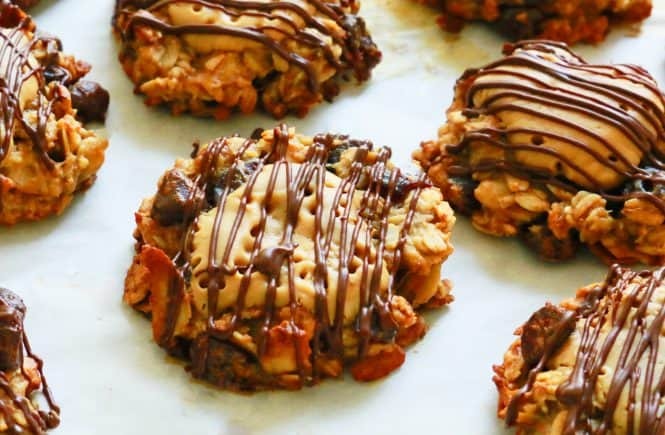 Toss all ingredients and bake, voila! 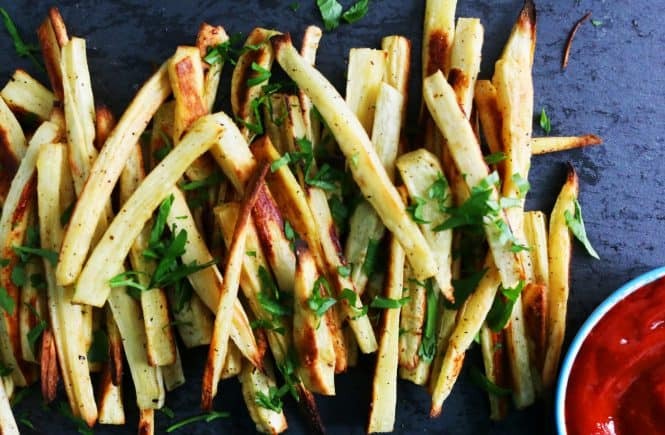 This is ideal for movie nights at home, appetizer for parties and get-togethers, cocktail hours or just snack anytime or dinner (in my case). 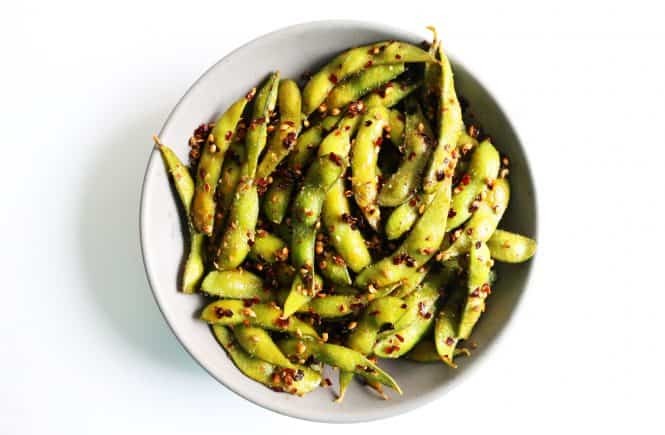 -Fully cooked edamame is available in the refrigerated produce section of your grocery store. 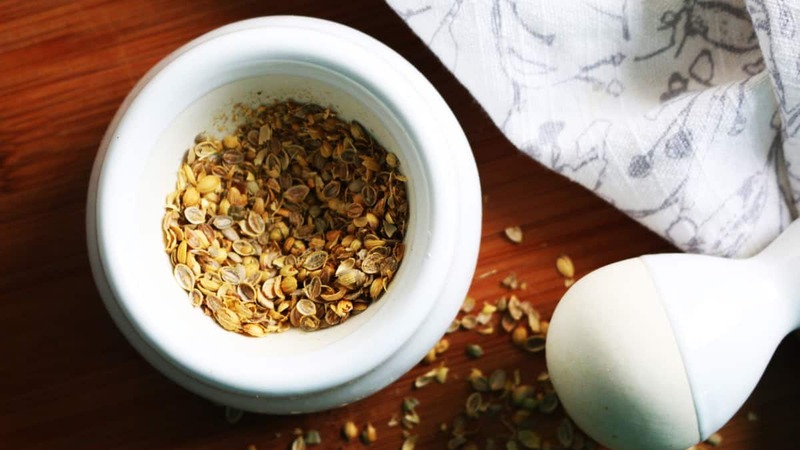 Crush coriander seeds with a mortar and pestle, until its coarsely grounded (don’t make into a fine powder). 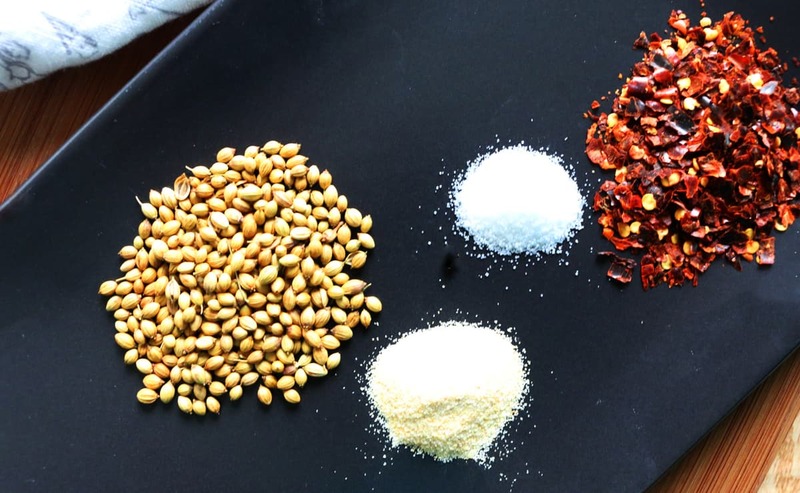 Don’t have a mortar and pestle? 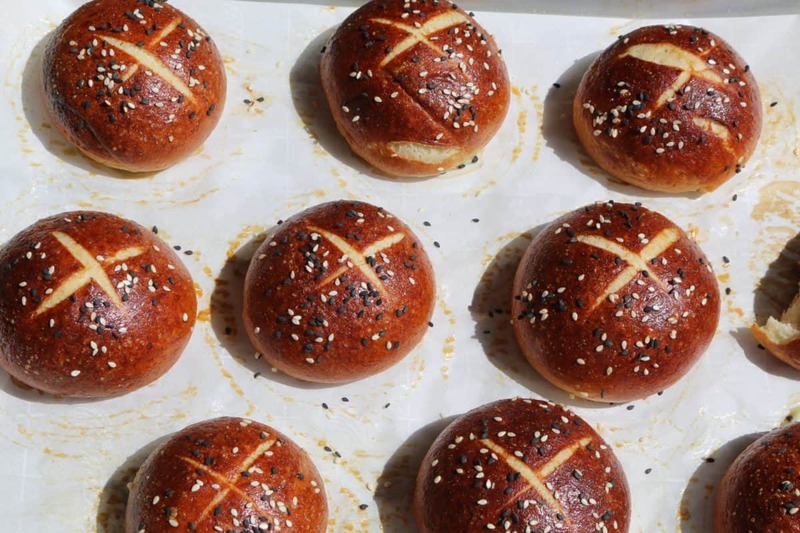 Place them in a small ziplock bag and crush with a rolling pin. Toss all ingredients in a 9-inch cast iron pan (or any oven safe pan that you have on hand), until thoroughly combined. Spread them evenly and place pan in the middle rack of the oven. Bake for 15 minutes. Place pan on a wire rack to cool. 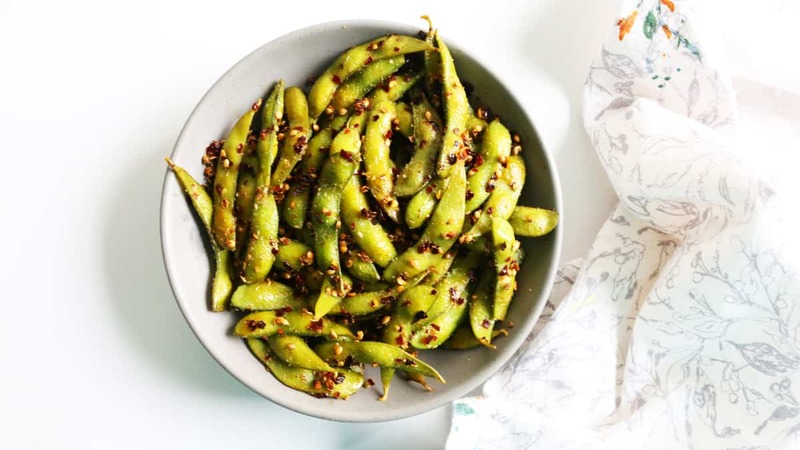 Serve edamame hot / warm / room temperature. 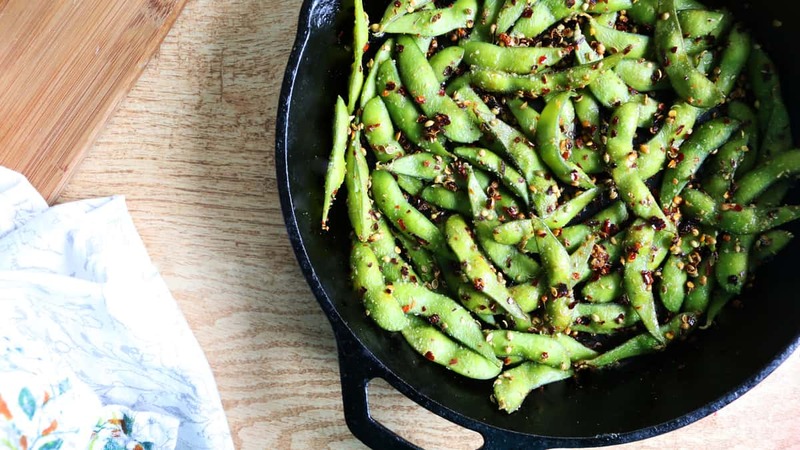 I love edamame, but I never think to dress it up at all.. what a great idea! My mouth just watered! 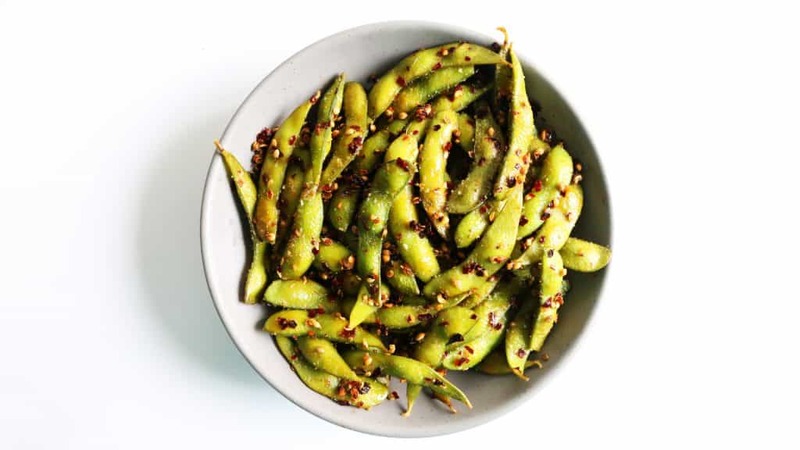 I love edamame and anything with some spice to it.